Back in February, I made those smoked ducks. 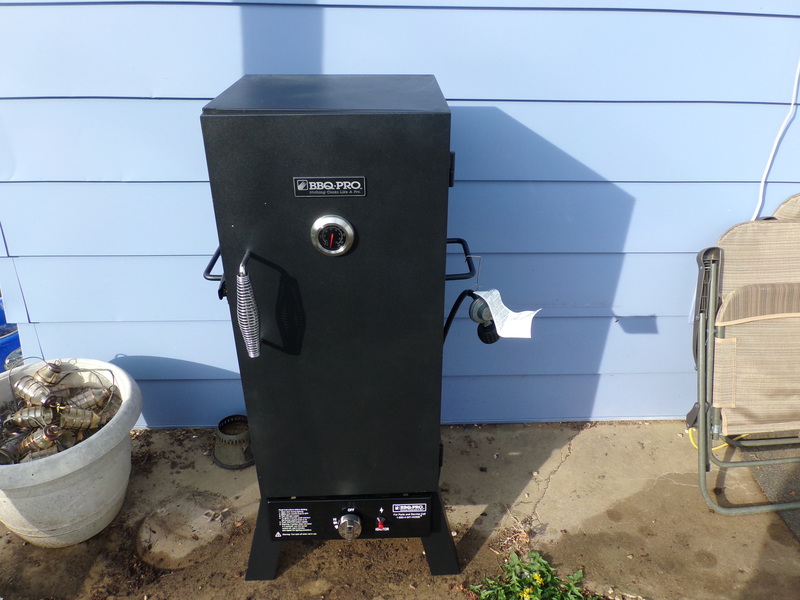 I opted for a long, slow smoke because the first time I had waterfowl had been smoked. Another reason was that last year in December, my dad had been up for a visit. 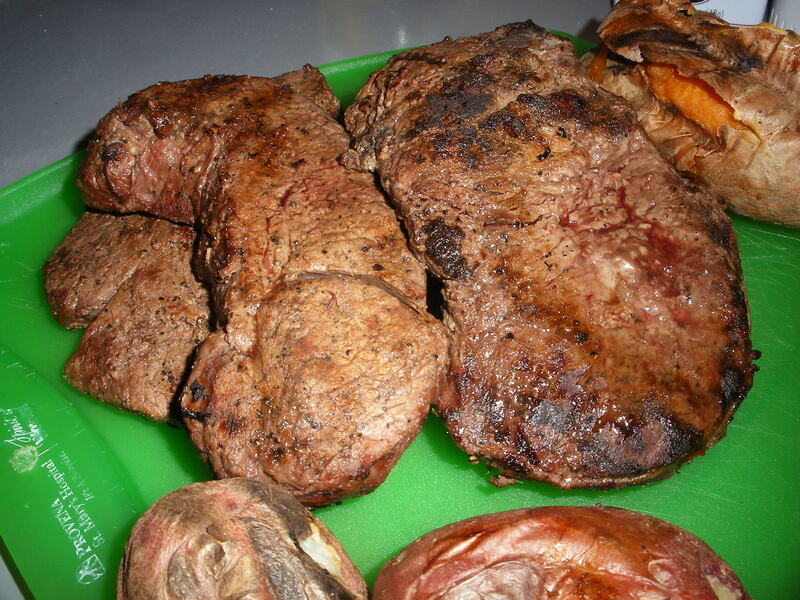 I had wanted to make a nice big dinner, and we had the larger of the two geese from last year in the freezer. I brined and roasted it. Only, I was used to cooking domestic turkey and chicken. I figured that, like poultry, it had to be done to 165F to be safe to eat. Matt and my dad were really good sports about the whole thing. This in spite of the fact that I basically served them jerky still attached to a skeleton. 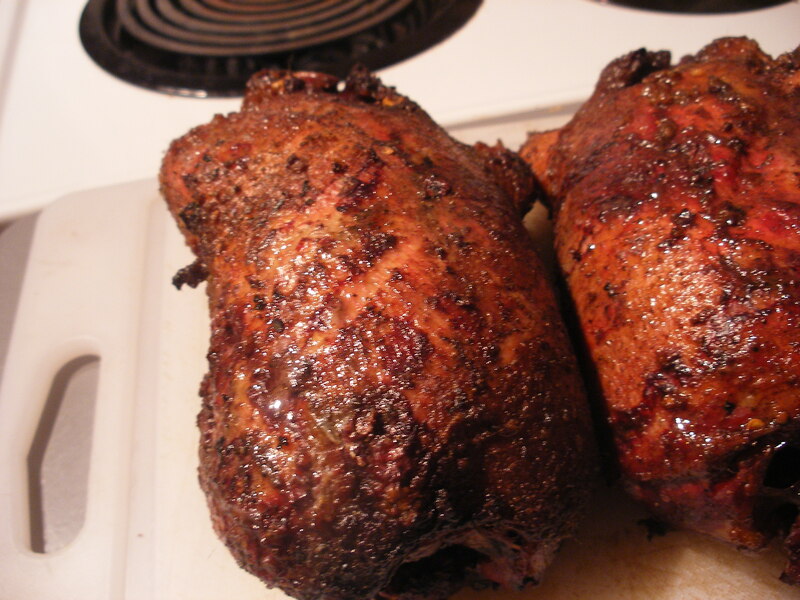 So, I smoked those ducks and they turned out well. We needed some room in the freezer, so I pulled that goose out Sunday to thaw. 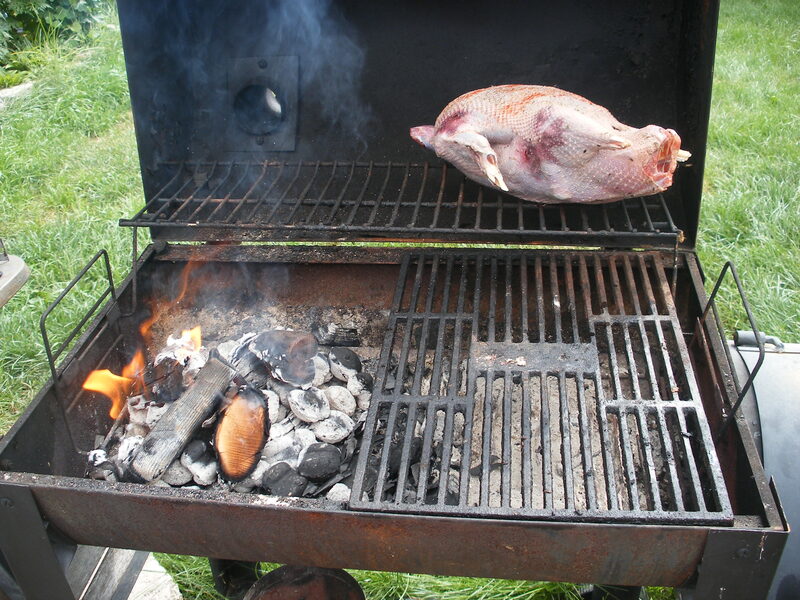 I brined it as well, since geese are typically lean and this one was no exception. 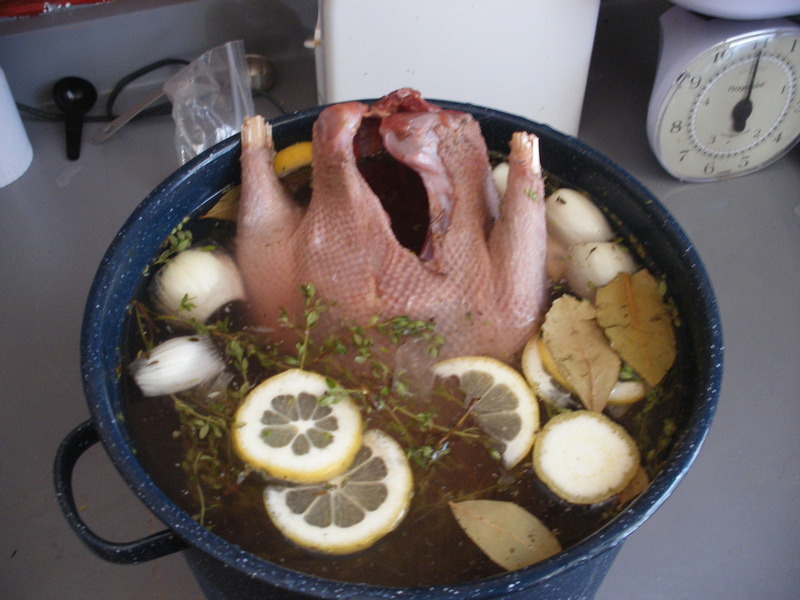 People brine chickens over night, and turkeys for a day. This goose just brined for about 4 hours yesterday afternoon. Could it go longer? Probably. I let it sit while I did some cleaning and yard work. Then I got the fire going. 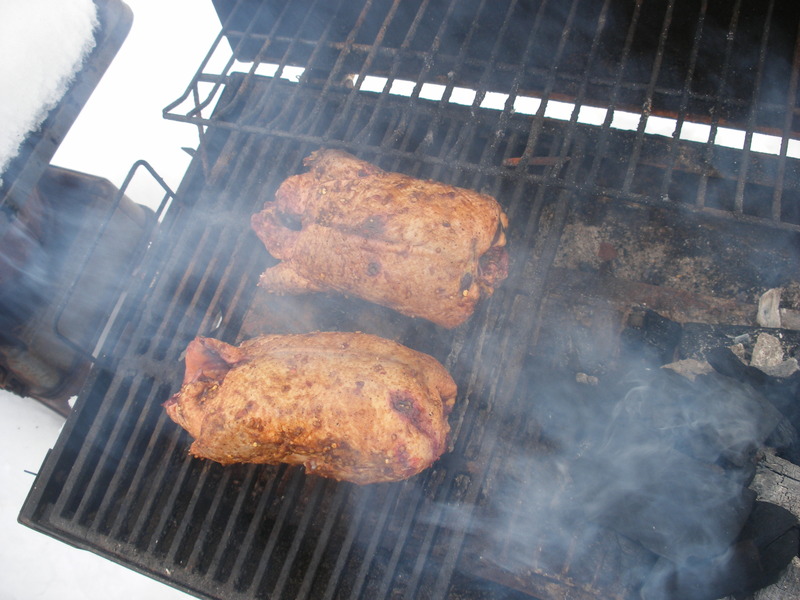 While it had been brining, I had picked up some apple wood chunks to cook it over. My fire was a blend of plain charcoal and apple wood. 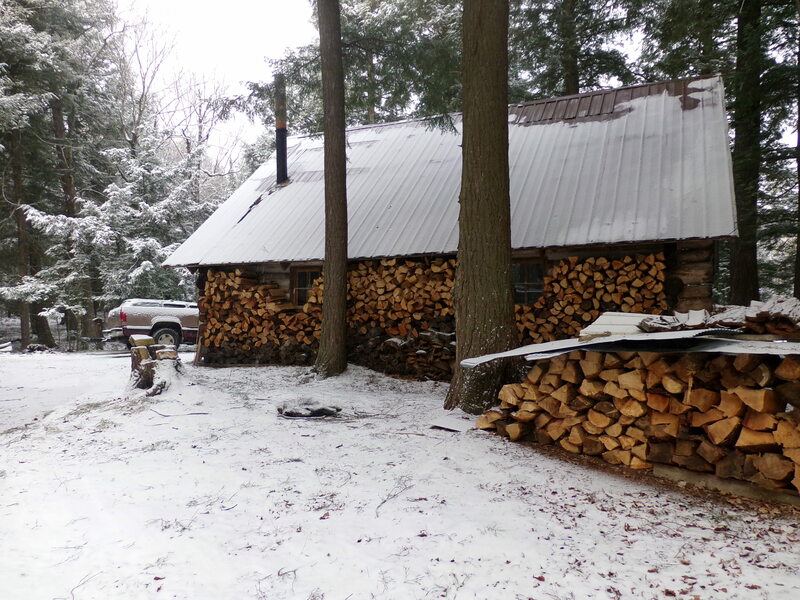 Once it had burned down a little bit, I set the brined goose on the grill to one side of the fire to cook slowly. 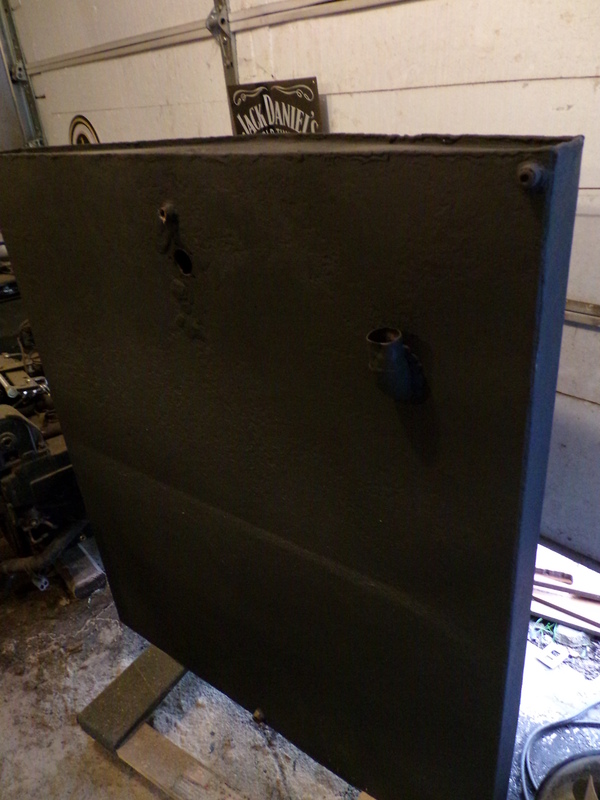 Then I closed the lid and the chimney cover to let it puff away. It still ran a little hot, so I made sure to open the lid and vent the heat now and again, and I monitored the internal temp a bunch. Overall, it cooked for about two and a half hours. I had mine like this. For Matt, it went back on the grill for a while. It turned out very well. Much more firm than chicken or turkey, or even the ducks. But the brine helped it stay juicy, as did a quick bacon grease coat I gave it halfway through cooking. 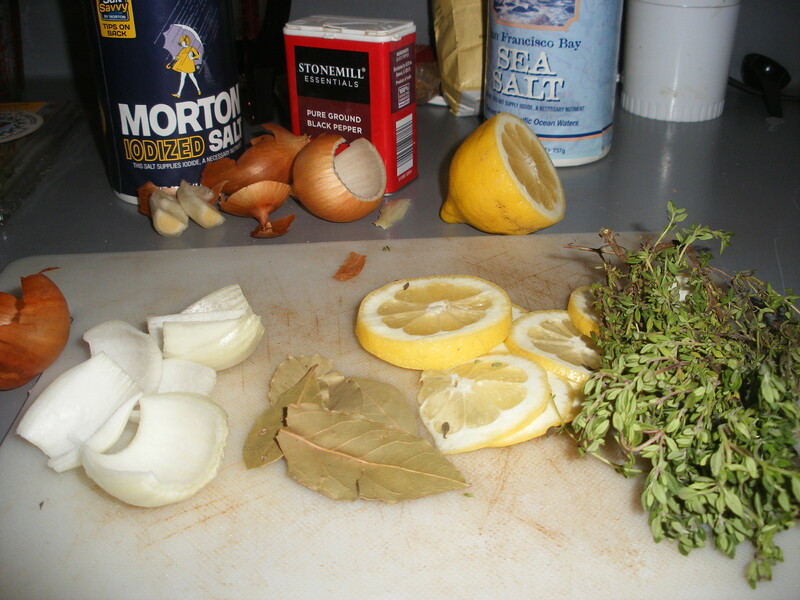 The flavor was good, too, even with how simple I kept the herbs and seasoning. I served it with baked red potatoes and summer squash from my garden, both done on the grill. To make up for this weekend’s mishap with the venison burgers, I decided I was making some sort of venison something tonight. On top of that, I have to be at work pretty dang early tomorrow, so I wanted something to post late this evening. Midway through my lunch shift, it hit me. 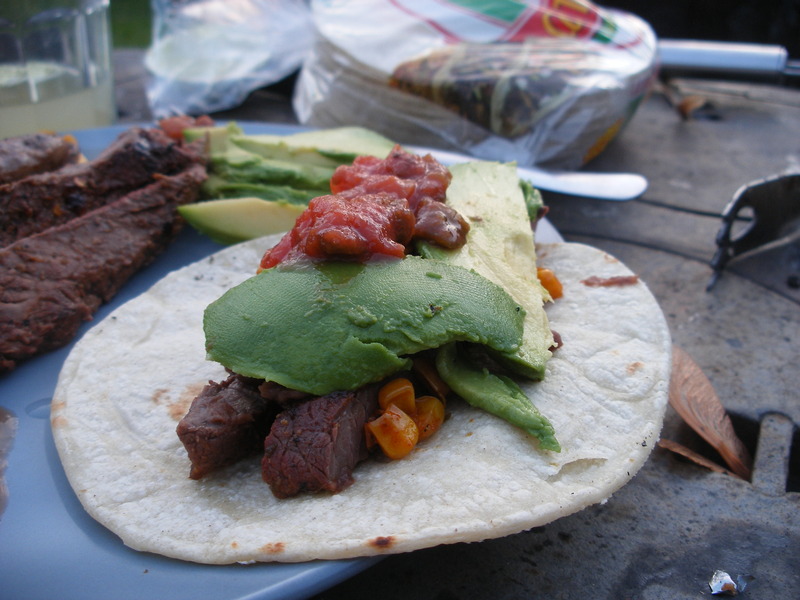 Venison tacos. On the grill. 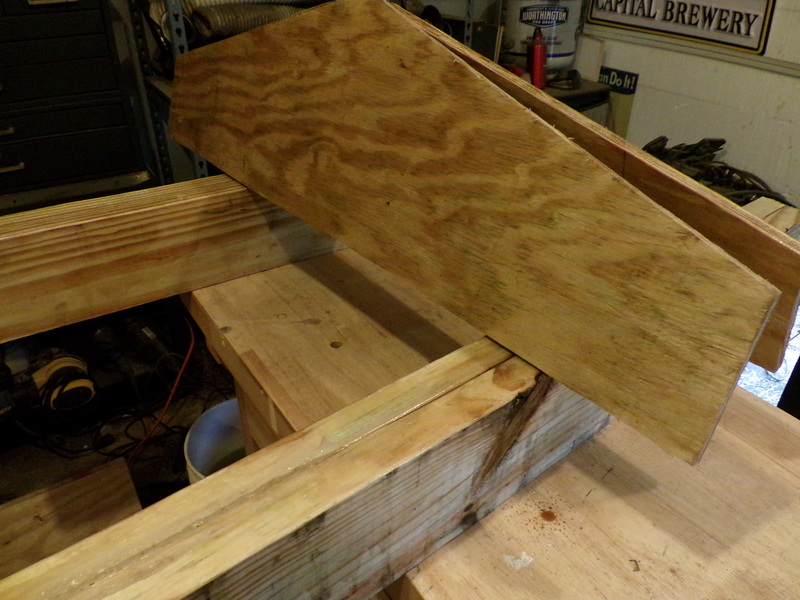 Whenever we were butchering up our deer quarters, I took a couple parts of all 4 haunches and butterflied them out as thinly as I could, so that it was something akin to flank steak. 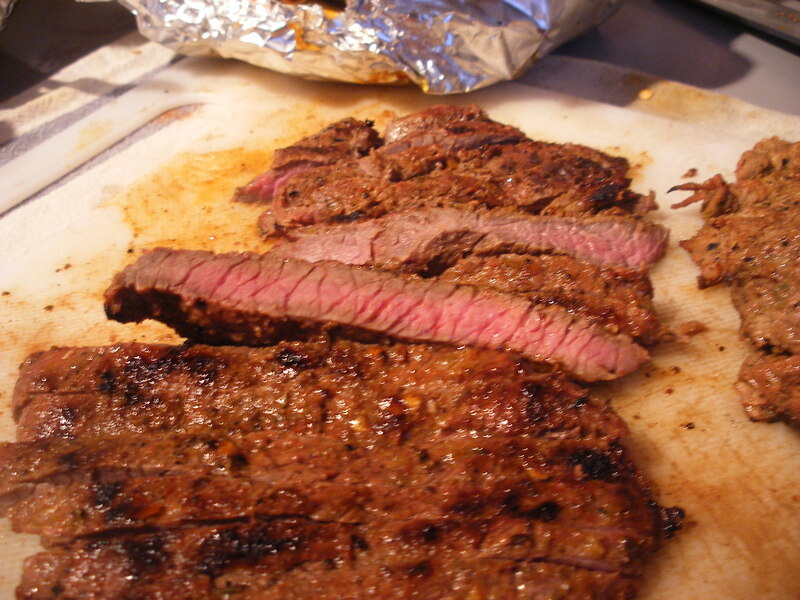 Now, this is way more tender than flank steak, but I had something exactly like this in mind. That is, zest and juice of one lime, olive oil, garlic, cumin, salt, red pepper flakes, paprika, dried pasilla peppers, and oregano. Like I’ve mentioned, I only measure when I’m baking. But it was a healthy dose of all the seasonings and spices. I also made two foil packets. One was corn- I used a can of DelMonte SummerCrisp, which I like because it’s packed in very little water. I mixed the corn with paprika, cumin, butter, garlic, and red pepper. 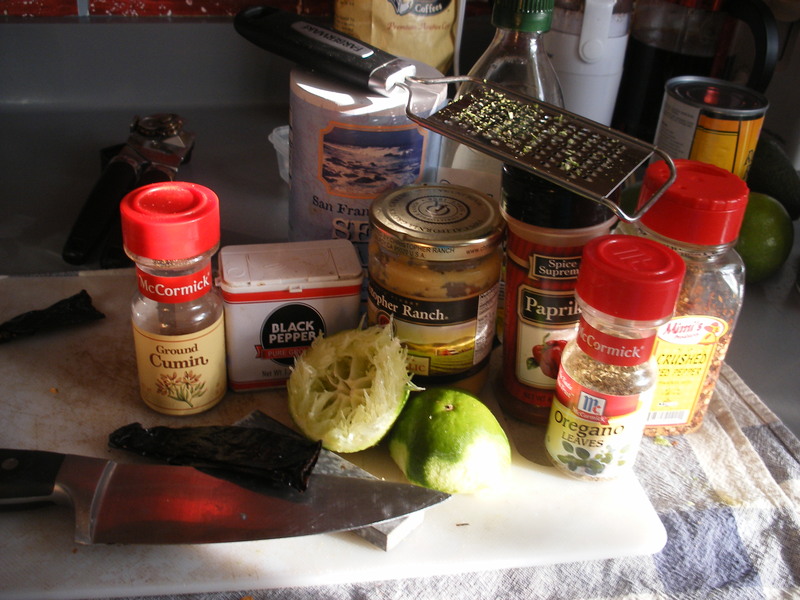 The other was just a can of refried black beans. I think they go better with venison, and I use them when I make venison chili. I rubbed the venison down with the marinade, and let it do its thing. 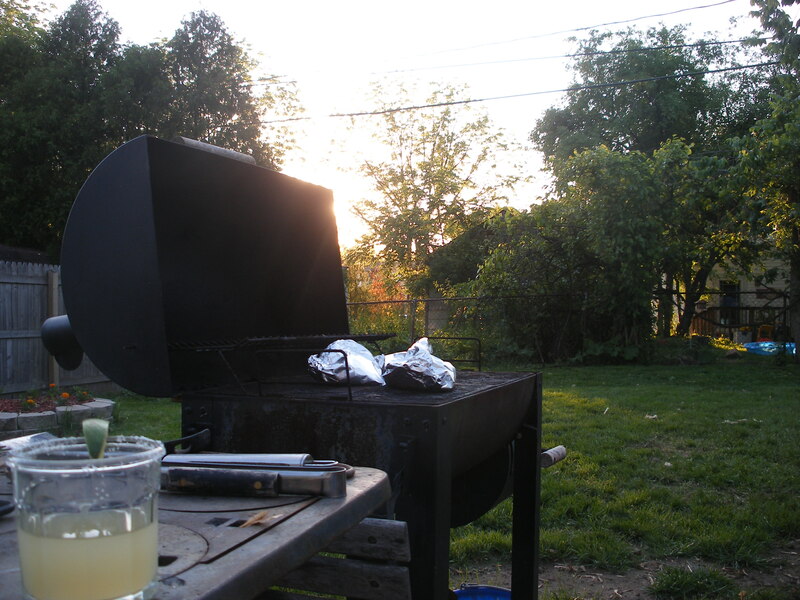 Then I lit the grill and scrounged up a margarita. While I was letting the foil packets steam away, and the meat marinade, Matt called to tell me he’d be later getting home than expected. I told him I’d save a plate, but it was too late to turn back now. 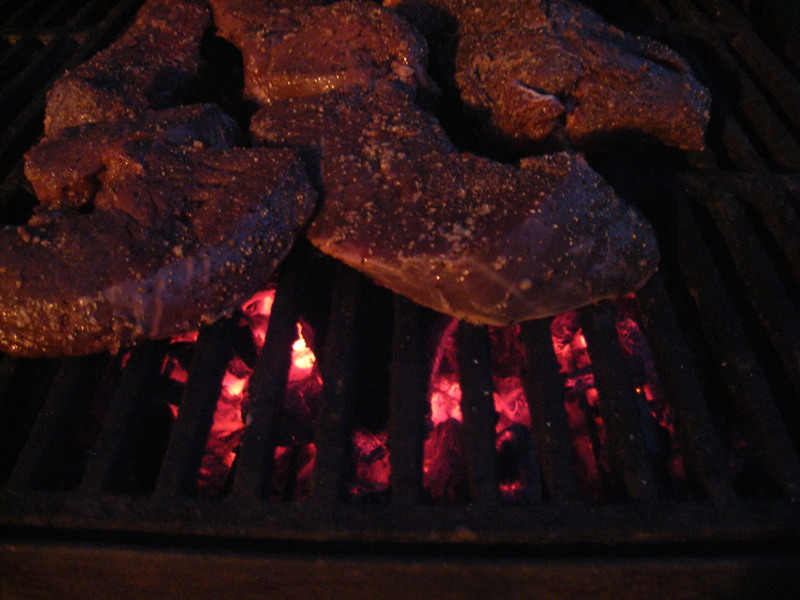 Once the coals were good and hot, I slapped the meat on, careful not to leave it unattended within canine reach. When everything had cooked as much as I wanted it, I removed it from the heat, and took it to the safety of the kitchen counter. 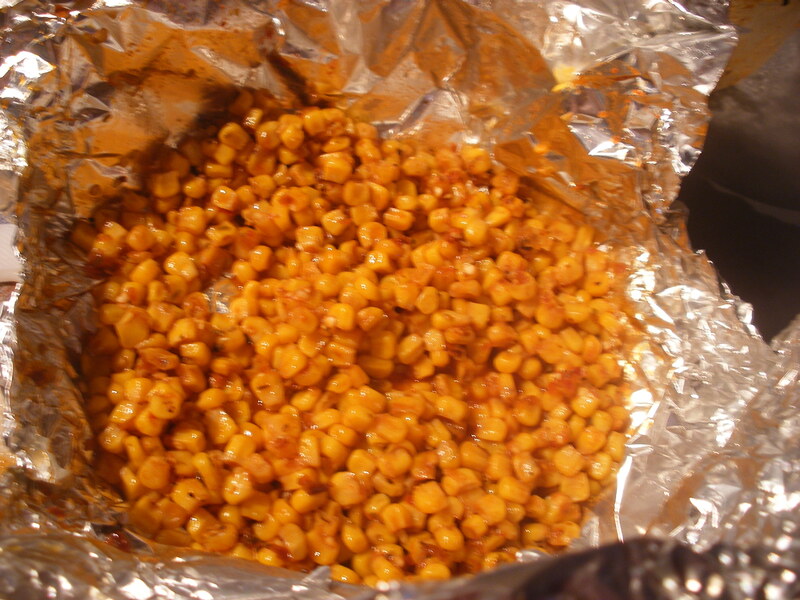 The corn turned out exceptionally, if spicy. Now, I’m lactose intolerant (and yes, yes, I live in Wisconsin, it’s weird). 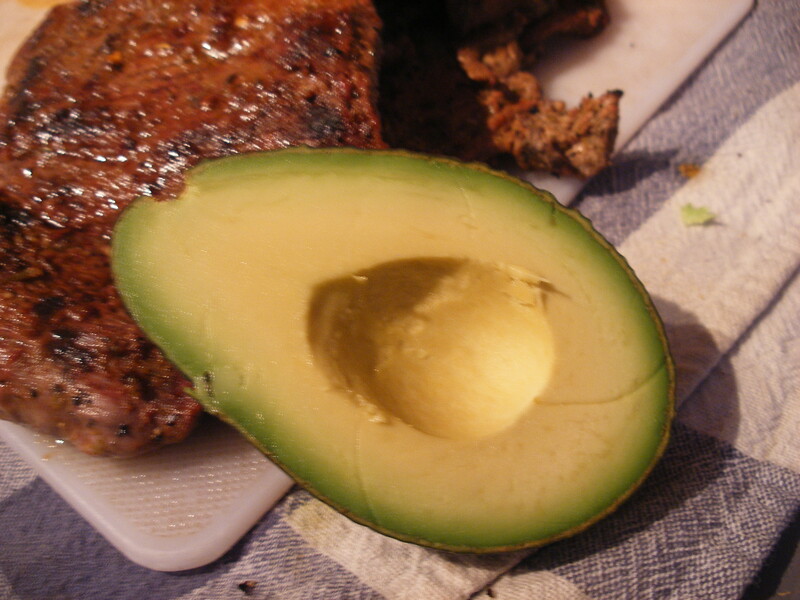 A great cheese sub is avocado, which I can eat plain with a spoon. 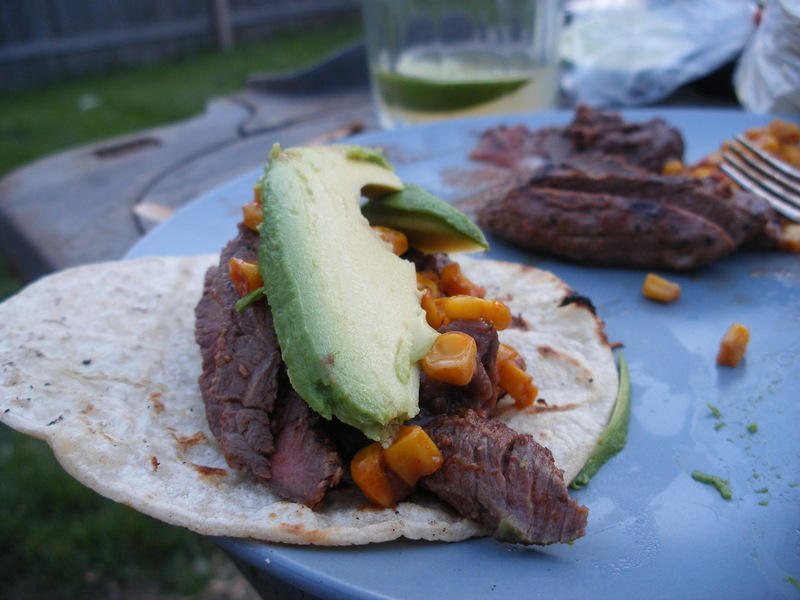 I piled my taco fillings on a plate, and took that and the corn tortillas back outside to the grill. 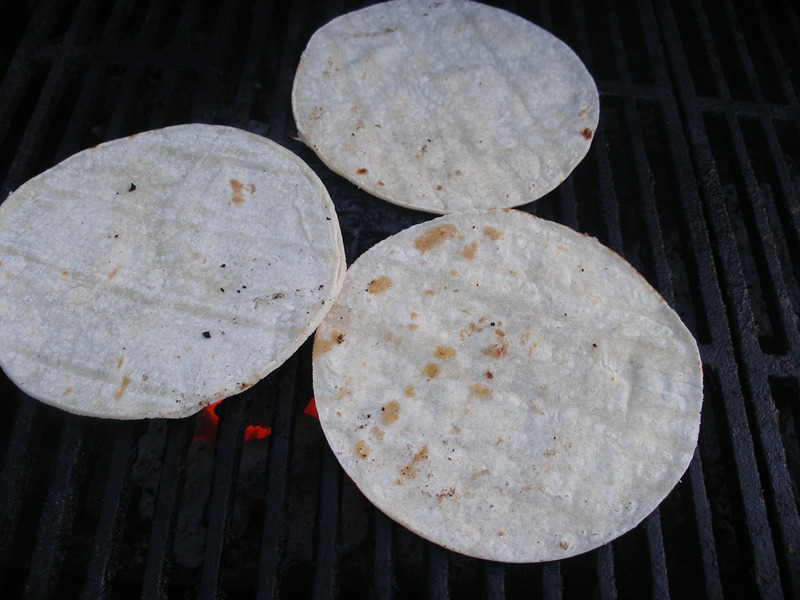 Then I put the tortillas over the coals. After that is was merely the natural progression of such things. Taco Three. I was a little too busy to photograph Taco Two. Taco Four was an afterthought. Last night, I cooked dinner for the first time in a month or more. I work nights, and we are pretty busy on the weekends. Luckily, we’re just two young folks, and we can get by on cold sandwiches or whatever else we find. But somehow, it got to be late May, and I still hadn’t grilled any venison. Wild meat requires a kiss of the flame from time to time, I figure. So, I rubbed some of my Wisconsin Strip Steaks with salt, pepper, olive oil, and garlic and let them rest while I got some yard work done and started the grill. 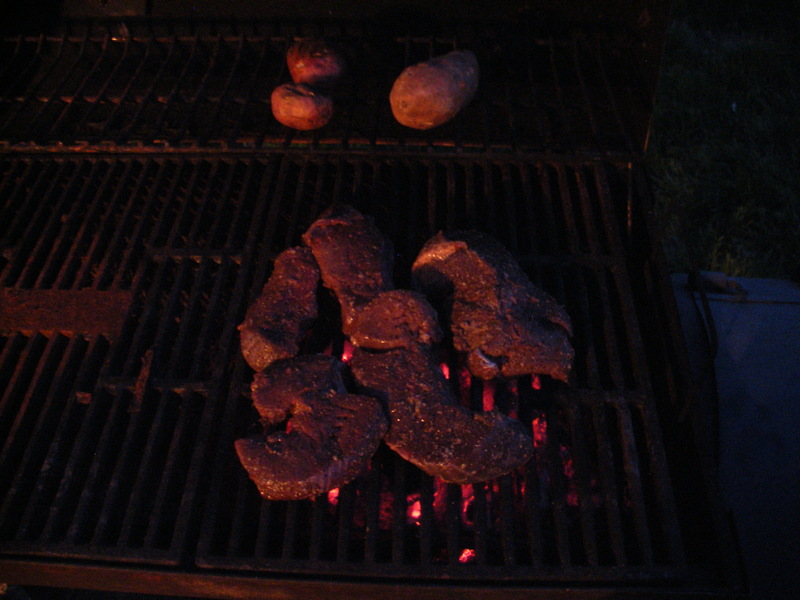 Once the coals were ready and the potatoes had been on for a while, I slapped the steaks onto the hot grate. As usual, mine were intended to be more rare than Matt’s. His got to be medium well, and mine about medium rare. I would have preferred a bit more rare, but charcoal doesn’t have a dial to control the heat as much. 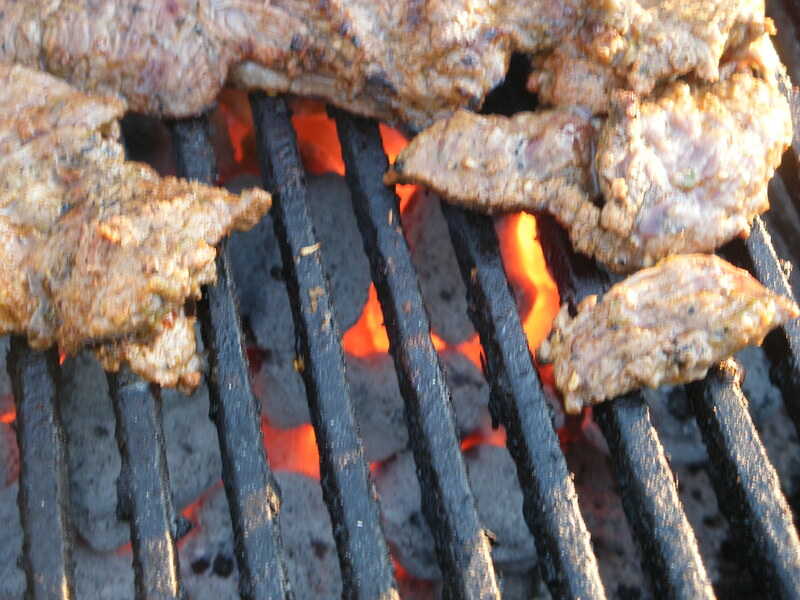 They got some really nice grill marks on them, and the smoke flavor was great with the venison. Those shots are a bit too rare, even for me. This is the finished products. I recently found out I’ll be having a bit more free time in the evenings. At least, for a month or two. When that happens, I like having more time to actually cook rather than eat cold sandwiches at 9pm because I got off work late and so did Matt. 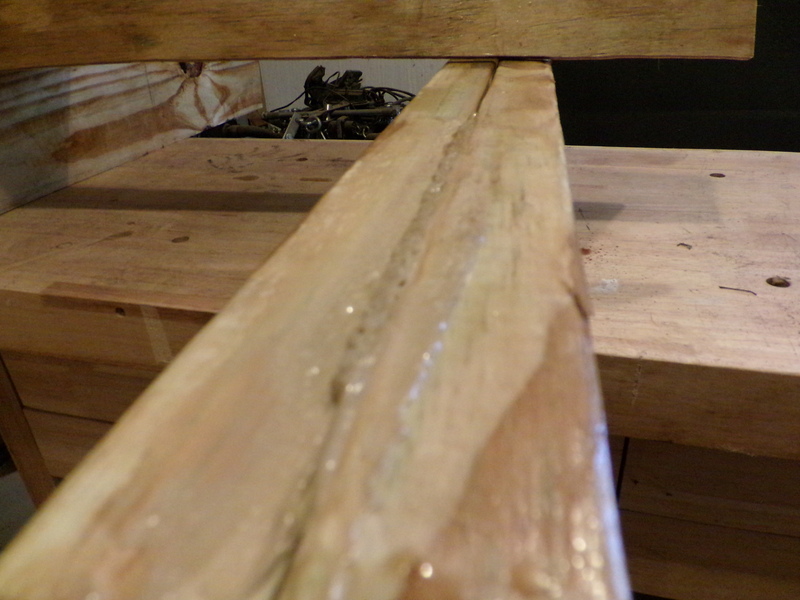 So, today, I made something rather ambitious, which I hadn’t done in a while. I decided I wanted to smoke some duck. 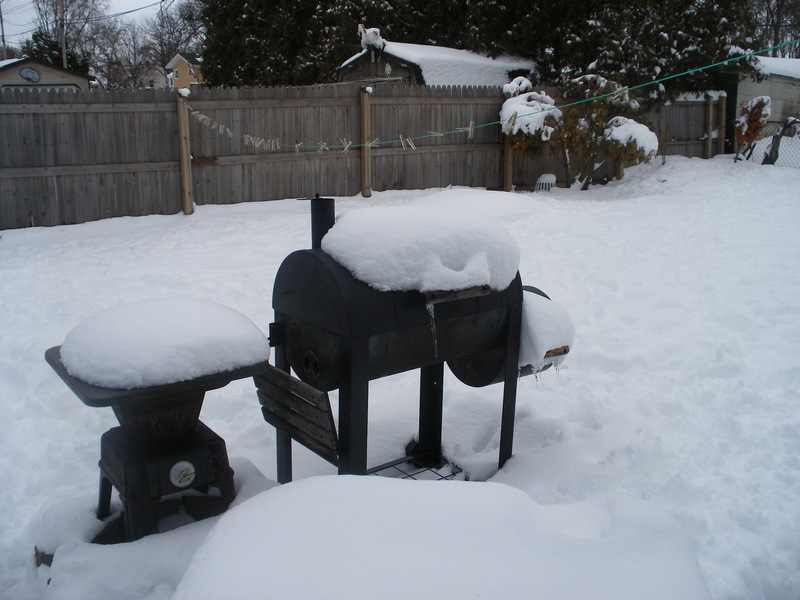 The old grill hasn’t been touched since probably early October. 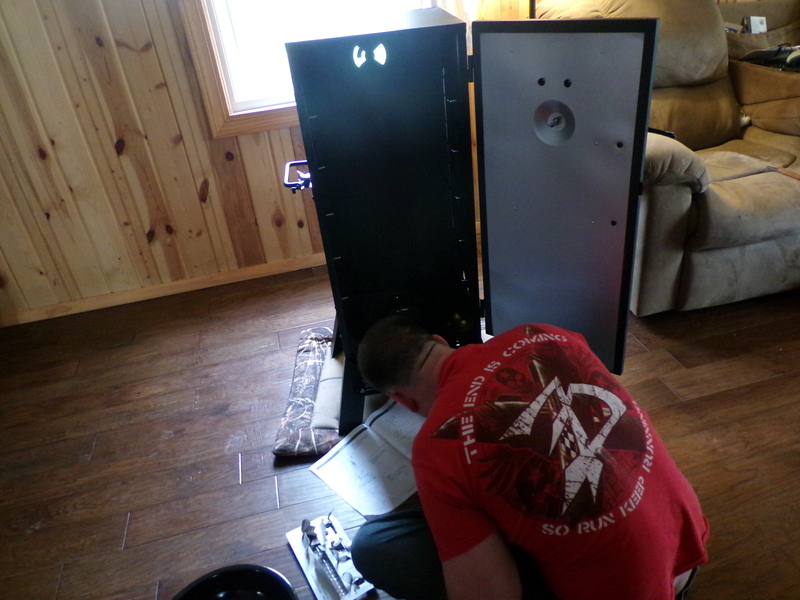 So, last Fall, Matt and I took on both of our first waterfowl seasons. Duck and Canada Goose. There was definitely a learning curve. I never did shoot any birds, as my shotgun is completely unmodified. It’s a little grouse hunting gun. So my pellet spread is… wide. I think I took maybe three shots in three months of bird hunting, knowing I wasn’t going to hit anything. It worked great with a slug for deer hunting. Not so much with bird shot. Matt, however, borrowed, and then bought, a very nice 12 gauge from someone he knows. He put a full choke on it, and actually hit a couple birds. I think in total we got 4 ducks, 2 geese, and maybe 5 or 6 coots. Not bad for first timers on their own, hunting literally within city limits. Anyhow. I’d made the first two ducks we got right away- two little green-winged teal. They’re small birds, a little smaller than the cornish game hens you can buy at the grocery store. They were great. 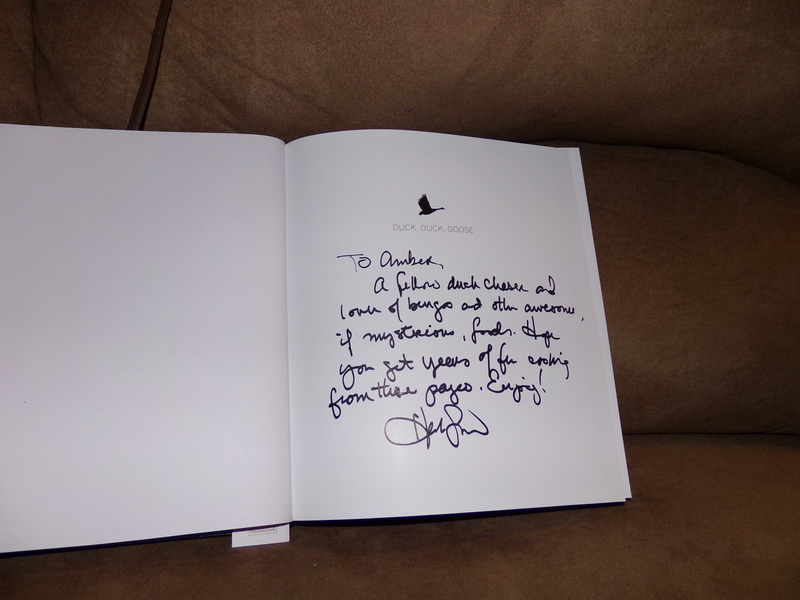 And I made the bigger of the two geese when my dad came to visit. No one told me goose, particularly wild, does not need to be cooked to 165F like chicken and turkey. It was… dry. And chewy. 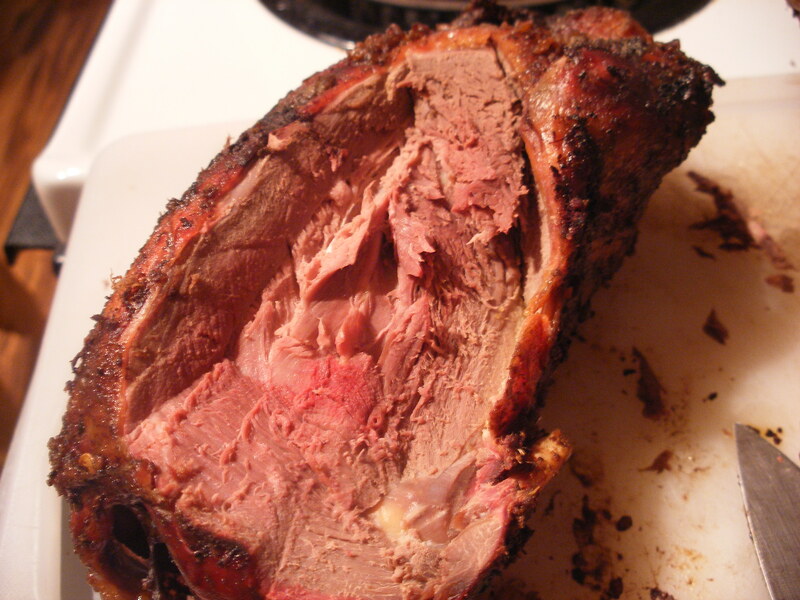 So, today, when I was deciding what to do with my ducks, I opted to go for the way I’d first had duck ever: smoked. A friend of my dad’s when I was little was a big sportsman. My dad only hunted deer, but this guy hunted everything. Much like me and Matt. 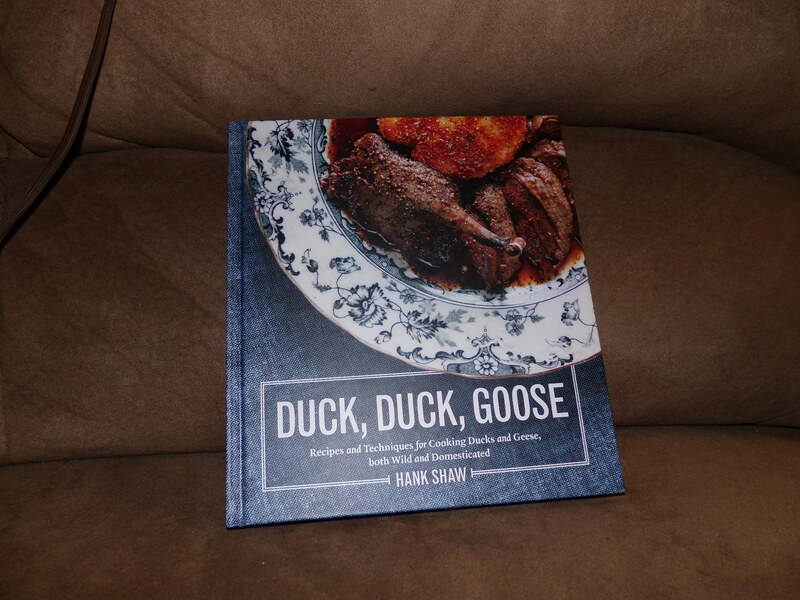 He brought us some smoked duck and goose, and it was heavenly. 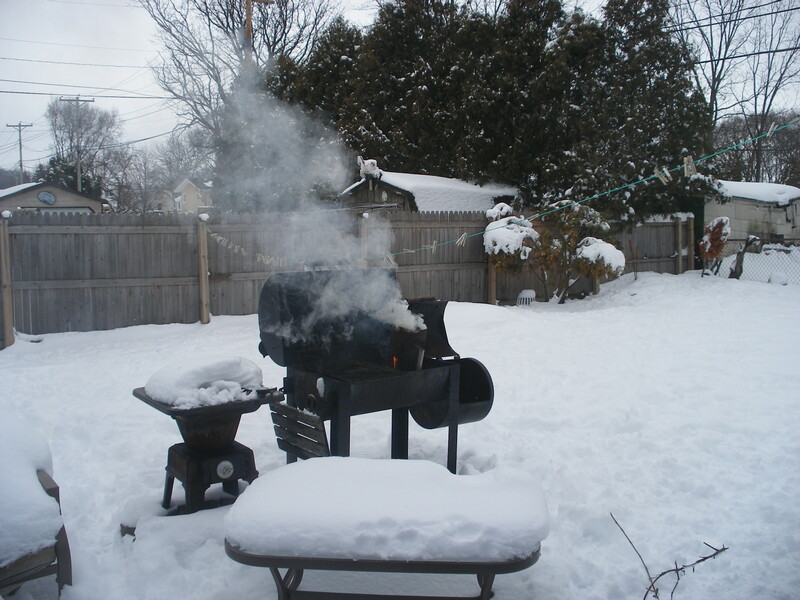 So, I stuffed my feet into some snow boots, tromped on over to Menard’s, and picked up some lump hickory charcoal and apple wood smoker chips. I came back home, got the grill set up, and the charcoal chimney lit. I came back inside, and started to prepare the ducks. 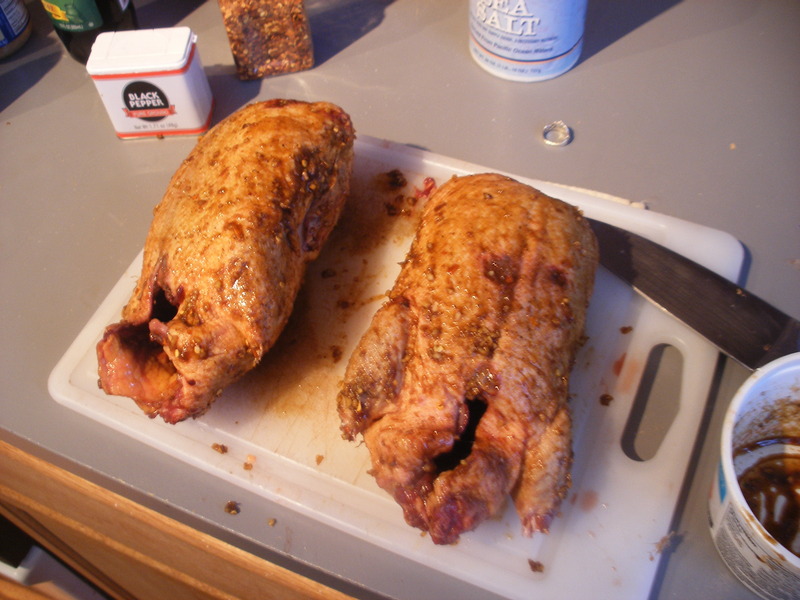 I mixed up a rub to go on the duckies. I am horrible at measuring when I’m winging things and not baking. So, it was a good deal of sea salt. Maybe 1/8 inch of it in the bottom of that little white container you see on the counter. 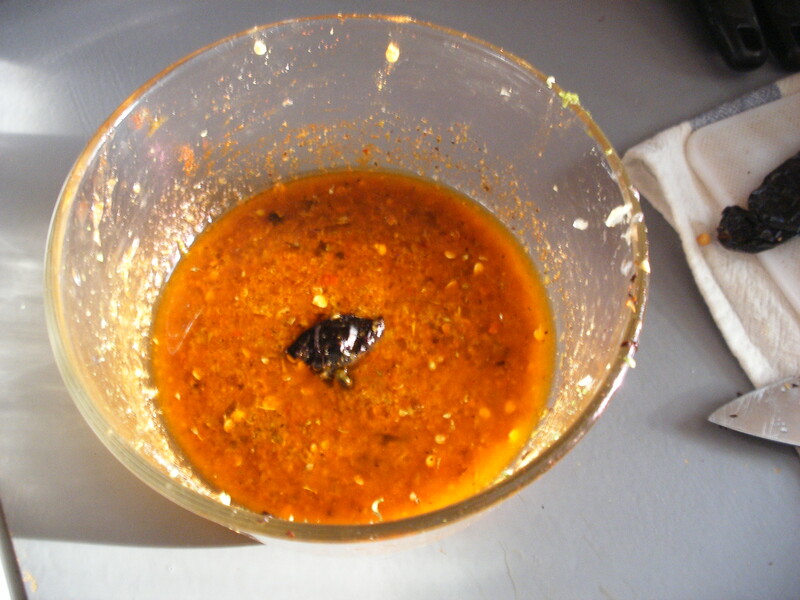 Plenty of black pepper, plenty of red pepper flakes, a few (2-3) half-spoonfuls of minced garlic (I use the stuff in a jar because I’m lazy, and I can only fit half of a spoon in the mouth of the jar), and then a good spoonful of Thai/Vietnamese garlic chili sauce. The hot stuff that’s like chunky Sriracha. I also put in a touch of dry rubbed sage. 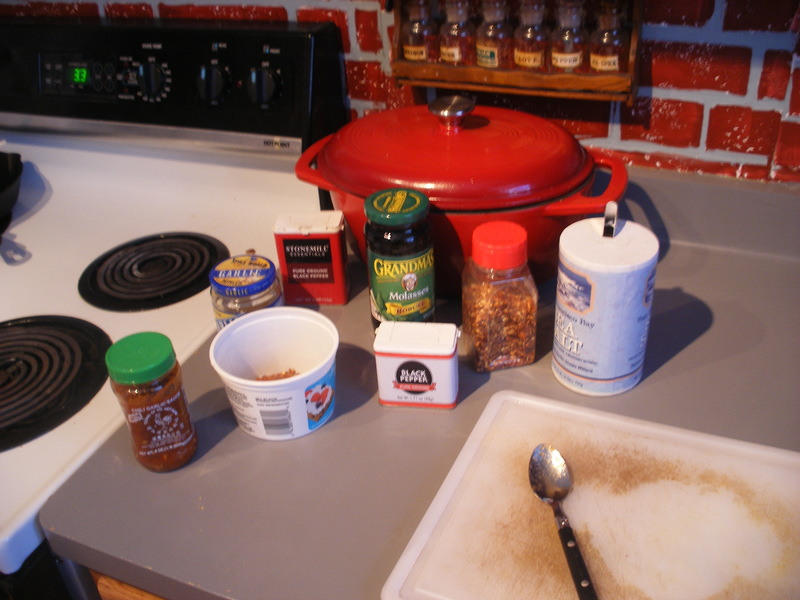 I mixed all that mess up into a paste, and I added 3-4 spoonfuls of “robust” molasses. I mixed that together and then set it aside. While that sat and kind of melded, I took some more salt, probably a teaspoon poured into the palm of my hand per duck, and rubbed it into the skin of the ducks to dry them out a bit faster. Ducks and geese have a lot of fat in their skins- more than chicken- and drying out the skin and salting it will help make it crisp. 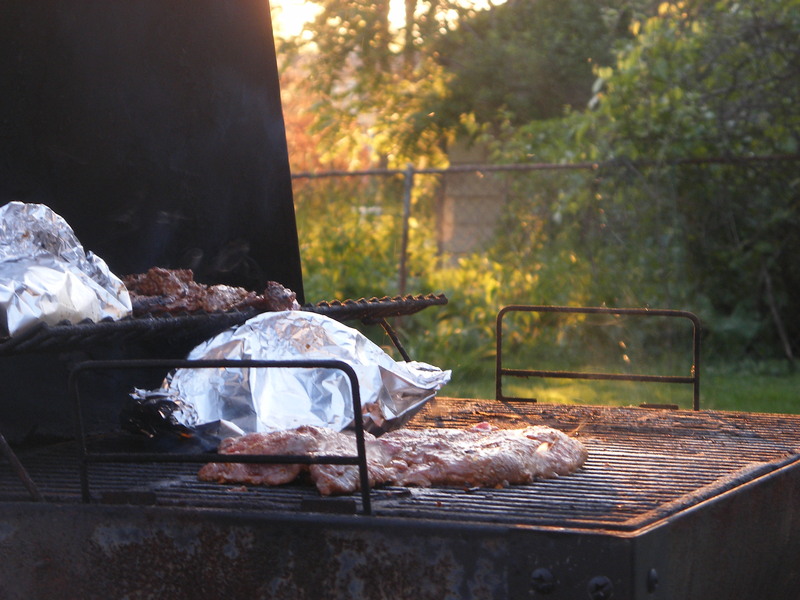 Then I set them aside too, and went to check the grill. 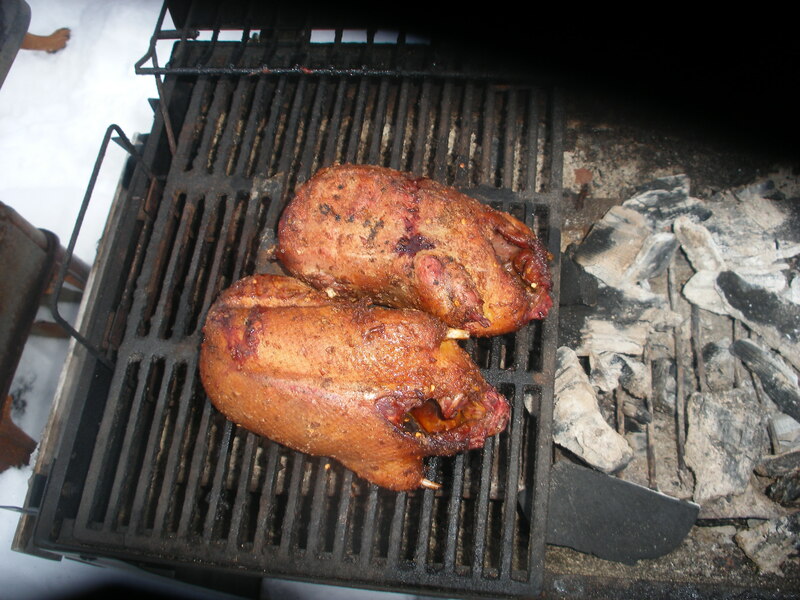 After I dumped the now-white-hot coals, I rubbed the rub into the ducks, and let them chill out some more while the grill got hot. Once everything was going the right temp on the grill- about 200-250, I set the ducks on the grill to cook for about 2-2/12 hours. I had to spread the coals out a bit to cool it down from 350, then I left everything go some more. I came in and put together a potato to bake for Matt, a sweet potato for me, and some pasta salad. I left them go for another hour to hour and a half. And then. Then. 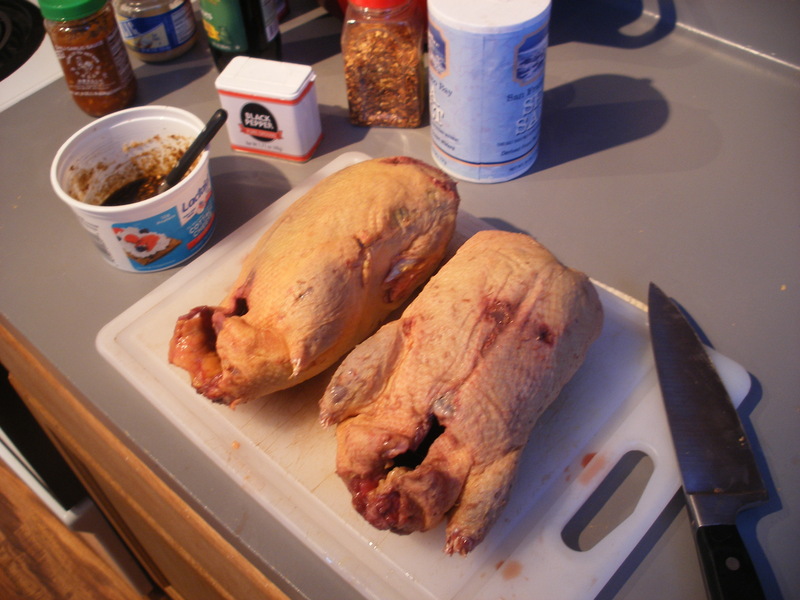 The skin didn’t crisp as much as I’d hoped, but they were done through, and I learned the hard way not to over cook wild fowl. It was delicious. Duck and goose both are all dark meat. Which on birds is my favorite kind. 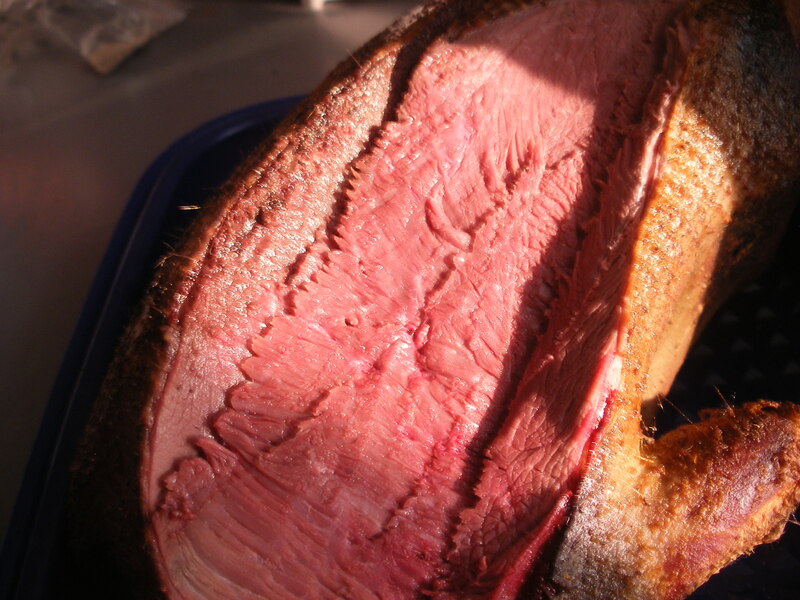 The longer, slower cooking process really let the fat in the duck skin render out into the meat, keeping it pretty moist. And it was tender. With the breast sliced out. There’s still a good deal of meat on the carcass. I like to keep small carcasses like this to make soups and broth out of. Duck noodle soup is excellent, especially in winter. These were two mallard drakes that we got in October and early December respectively, that we plucked and cleaned, then froze. They’re mid-sized as far as ducks go, but we never did see any of the bigger ducks, like pintails or canvasbacks. So mallards are about as large as we’d get here. 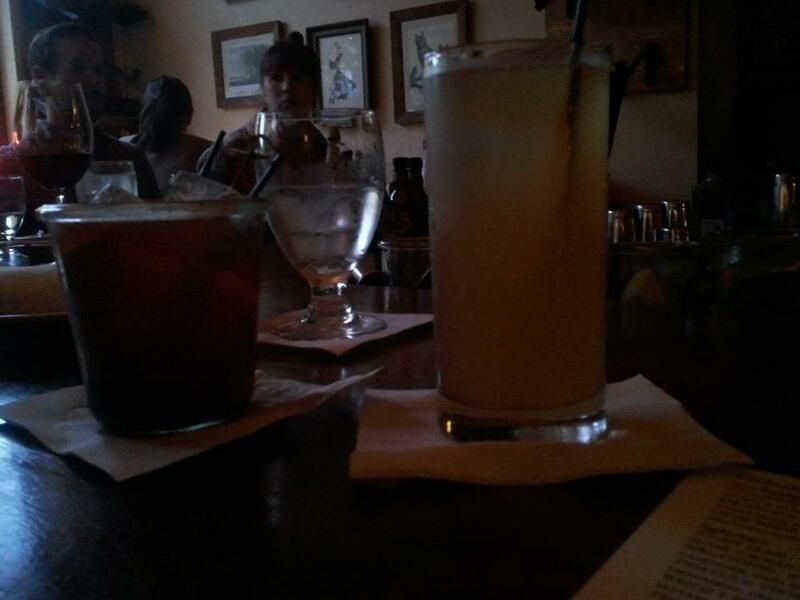 Have you ever had duck or goose before? Much less wild fowl?